Government plans to introduce driverless buses as part of a digital revolution could see Britain lead the way in new technology, but could also put tens of thousands of people out of work. Culture and Digital Economy minister Ed Vaizey said a five-year digital strategy currently being drawn up will propose that robotic buses be launched across the country. The plans will be part of a wider policy to force government departments to embrace the digital age in the same way private companies have. A Whitehall official told the Times it was a “cross-government” program. Speaking to the Times, Vaizey said the impact of the plans on people’s lives would be “profound” and cited positive outcomes such as improved healthcare from wearable smart technology. However critics such as computer entrepreneur and author Martin Ford warn that if the introduction of automation in the economy is not handled carefully, it could lead to mass unemployment. In his recent book, “Rise of the Robots: Technology and the Threat of a Jobless Future,” Ford argues such a surge in unemployment could have disastrous consequences on the global economy. 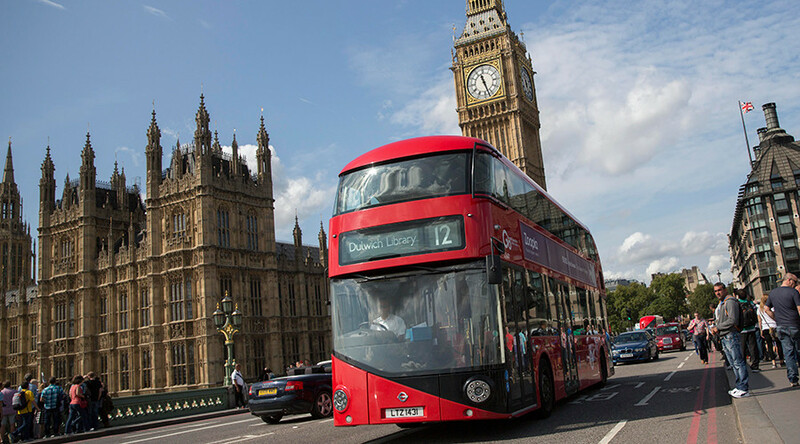 London’s transportation system alone employees 27,000 bus drivers, according to Unite the Union, many of whom could be pushed out of work. Britain’s digital sector accounted for 7.5 percent of the economy (£113 billion) in 2013, just ahead of Germany. Vaizey said the government wants the UK to lead the way with the new technology. “We want the UK to be synonymous with digital, a place where technology transforms day-to-day life,” he said. “The potential impact is profound. It might mean that the best educators from around the world are made accessible to all – with virtual reality sets bringing Nobel laureates into the classroom. That we can build better houses, faster. “That more power is given to the patient, and the care we provide for our elderly and sick is improved and made more affordable. “That we use driverless robotic buses in rural communities or help people to find parking places using GPS technology,” he added.